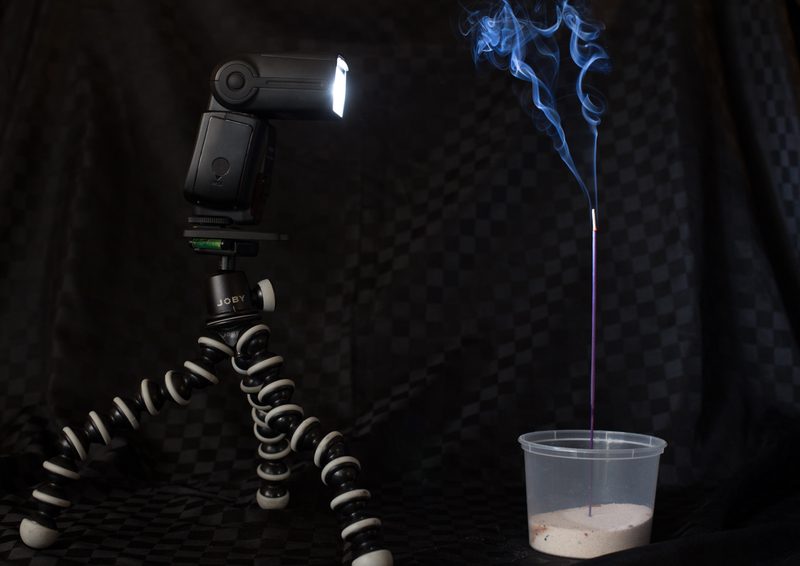 Smoke or incense photography is quite an easy project to do that can have interesting and varied effects. Using a flash – place it approximately at right angles to the incense. Face the camera to the incense (preferably with a tripod) and focus on the tip of the incense stick. Ideally use a remote trigger or master/slave – but if you don’t, t hen you can do a longer exposure and trigger the flash manually. Light some incense and let it burn for a few moments to get going. If you’re in a completely still room, then the smoke from the incense will burn directly up. 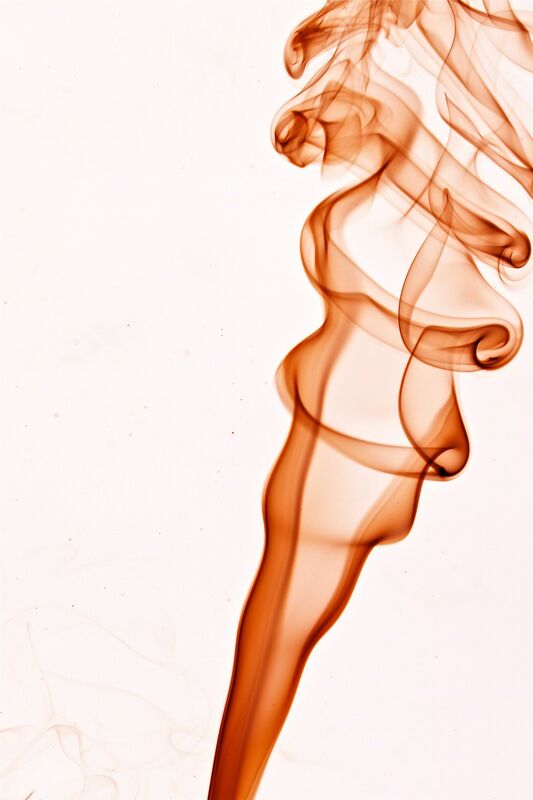 This isn’t very interesting, so add a little draft to it and watch the smoke curl into interesting patterns. For a completely low key shot – you want to have a clean background. Have exposure settings to make the ambient light black – so typically at shutter speed equal to the shutter sync speed and a low ISO and in a dimly lit or dark room. For aperture settings – I’d typically go around F7.1 to F16. The narrower the aperture, the higher the flash settings to make a crisp incense picture. So either the flash should be closer to the incense or have a higher power setting. If you want a clean background – then place the incense with a lot of distance to the background. This is to avoid light from the flash accidentally illuminating the background. While the example of setup doesn’t include it – I tend to attach blinkers on the sides of the flash to reduce the amount of light splashing on the environment. Now to make it a high key shot – simply process in photoshop and invert the image. This will mean that the incense is still grey – but the background is now white. Changing the temperature will change the colour of the incense. Most incense images I’ve seen are just the smoke itself. Try putting it in a scene and see what happens. you’ll have to control the flash a lot more. What sort of story could you tell with the smoke? How about using a dark room so you can do a long exposure and flashing more than once? or flash more than once with different coloured gels? with snoots?